Dear friends, in a spree of many new changes in orkut, the team has added a unique friends map feature in orkut, this feature will display a world map in which your friends will be shown. you can zoom in and out depending upon the concentration of your friends, to access this feature all you need to do is. Go to the profile of person whose friends map you want to view, now simply click on view friends, and in the middle of his friends and mutual friends, you will now see this new feature "friends map". 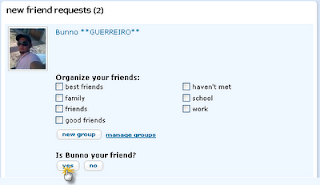 This one is very cool feature added by orkut team, we would cross our fingers to see more like this coming soon. Click Here to Read more! Back in November, we announced that orkut was open to developers. Developers have been building exciting new social applications over the last few months that will make the orkut experience even better. This is why we're excited to announce that apps will be available to a subset of orkut users starting in a couple weeks, and to all orkut users several weeks after that. So we might just have to wait for few weeks more to get these great orkut applications to play with... we can wait this much... as we are quite busy orkuting... right friends! Click Here to Read more! >> In the field Email Address to Invite, Write the email address of your friends on orkut whom you have still not added or cannot add because you have reached the limit. (please note that the email address should be the one which they have used to create their account and which is usually the one which you found on their profile page). >> Enter the Captcha . > Now you will see the following when they are accepted and you just choose the category and click yes to add them as friend. Kindly Note that this bug can be fixed any time, so use it till the time it is available, you might also like to subscribe to us for receiving these hacks on time. This Post is inspired By This WebPage :) Click Here to Read more! Friend groups have been on orkut for some time now, but we're now making them more accessible throughout the site to make it easier for you to create new groups or add new friends to them. Here's what's changed: when you add a new friend or accept a friend request, you can now select which group(s) you want to add them to. 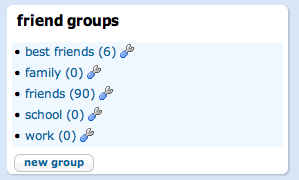 You can also modify these groups (rename them, remove them or add new ones) either when you add or accept a friend, or on the friend management page. And we've turned friendship levels into groups for you, so that you can send messages to all your best friends, or see all the friends on orkut that you haven't met offline yet. Well you might also like to check out Orkut Trends, Content Privacy in Orkut Communities, save your orkut account from being hacked! Click Here to Read more! Starting this month, we're enabling developers to make their social applications available to orkut users. We'll start ramping up to more than 50 million people over the next few weeks. To prepare for this growth, we're now accepting social applications. For a while now, developers have been able to write, test, and play with applications on orkut. Later this month, however, we're going to start rolling them out to orkut users. OpenSocial developers can submit their completed applications. Well it would definitely be very interesting to see many new applications for the orkut, the site which really rocks the world!!! Well friends,we all wonder how many people from the world are on orkut, well sometime we wonder how many people from our state are on orkut. A question came up in the orkut trends community: What is the distribution of orkut users among the different states in the US? 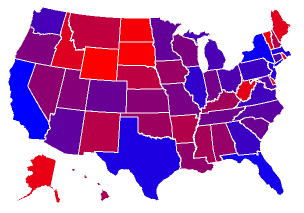 Rounding out the top ten were New Jersey -- referred to by some as "Joisey" -- at 6%, my home state of Illinois (4%), Georgia (2.5%), Pennsylvania (2.5%) and Virginia (2.4%). Other states making up more than 1% of our US user base were Washington (2.3%), Michigan (2%), Ohio (2%), Connecticut (1.9%), Maryland (1.7%), North Carolina (1.6%), Arizona (1.4%), Minnesota (1.1%), and Colorado (1%). Least represented were the sparsely populated states of North Dakota (.07%), South Dakota (.07%), and Wyoming (.06%). Interesting stats, may they roll out one for India too... Click Here to Read more! Back from a vacation? Had a party? Surely you must have a ton of photos to share with your orkut friends. Well, we're happy to tell you that we've made sharing those photos with your orkut friends even easier. We have increased the photo limit, so now you can share up to 1,000 photos, and made the upload experience faster for Internet Explorer users. If you're on orkut with Internet Explorer, click on the link for "New! Upload multiple photos" on your albums page. It takes you through an instructions page for installing the application needed to upload multiple photos at once. Well its seems that we were proactive on this feature than orkut blog, nice going for us, lets keep it going :) Click Here to Read more! Credit for this video goes to the video creator, thanks a bunch to him, I hope you like this video and if you did why not you comment about it :) Click Here to Read more! This feature will also provide benefit from posts which contain auto links to virus or spywares sites which are currently infecting many orkut users because of carelessness on our part!!! NOTE: This Feature Will Work Perfectly in Internet Explorer. Step 1. You should go to any of your Album, You will now see something like this Just Click on Upload Multiple Photos. 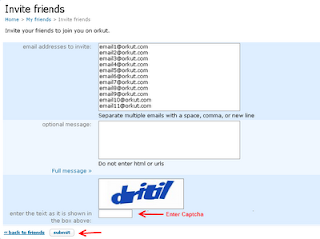 You might also like to check out Captcha Hack for sending links, Powerful Orkut Toolbar, Beautiful Orkut Scraps Also. This feature will be helpful to see whether someone other than you accessed your orkut account and will also prove useful to see if anybody have your password, if you happen to see that it is showing the last login time at which you have not login on orkut, " This should be taken as RED SIGNAL and you should change your password immediately!" Well its your community you have worked very hard for making it and reaching it to the level it has reached now, you have sufficient members now who come to your community for the content posted in it, well google now enables you to make your community's content visible only to your members. Yes now community members can restrict the non members from viewing the content posted in the community, but it does not restrict in any way the members of the community to access the content in any way, if used in the right way this option will provide increase in the no. of members to the communities and community owners will be able to get more control over their communities. A wise man once said "Privacy is the condition of being left alone, out of public view, and in control of information that is known about you." Here at orkut, we're keeping up with your requests for additional privacy controls. We recently added new features that allow orkuteers to limit viewership of photos, videos, testimonials and scrapbook to friends.Based on your feedback, we've decided to go even further to empower the owners of communities to choose whether to make their community content private or public. The additional privacy control we've added allows you to make your community an enclosed entity so that you can discuss whatever you want within its walls (of course, content must abide by orkut community standards and policies), resting assured that only members can view your discussions, forums, and events. Have you ever thought of creating a community poll like "Who is the best teacher at your school? ", but stopped yourself from doing it because the teachers might actually see it? Or perhaps you wanted to create a community to keep in touch with family, but didn't want to share your family events and posts with the whole orkut community? While communities are a great place to meet new people who share your interests, we understand that the current structure of communities sometimes makes it difficult to have intimate discussions with a select group of people. We hope that the introduction of private communities will fill this need. You might also like to check our posts, Happy Birthday to Orkut, Gtalk on Orkut Homepage, Make your Scrapbook Colorful Also. This Post is inspired By This WebPage & This WebPage :) Click Here to Read more! Orkut have changed in many ways and this is what the creater of orkut himself pointed out well, that now a days with the amount of information shared on orkut, the need for privacy is all much more improved and now he have issued an video on how everyone can ensure better privacy on orkut. Orkut isn't the same social networking site that it used to be. When I created the site, there was less information to share and there were fewer sharing controls. Since, we've added ways for users to upload photos and post videos, include friend updates on user homepages, and send and receive scraps. To help you manage what you post on the site, and what you share with whom and when, we recently launched some new sharing features that give users control over who gets to see their photos, videos, testimonials, and scraps. In order to walk you through these changes and to continue educating our users about their privacy choices, I filmed this brief video tutorial, orkut style. As the video shows, keeping information private - or just between your closest friends - is easy and safe. And when you've got something that you want the entire orkut community to discover, then allowing everyone to see your profile or your photos is also just a few clicks away. Captcha filling is employed by websites to stop spam, but with this hack spammers will be having a fun day at orkut. 2. Edit the 'your link' in the link with the one you want to send and paste them in your scraps. Note: 'http://' wont work, 'www' works flawlessly. I am extremely sorry for posting no new posts in this past week, actually my semester exams were going on, therefore i could not find any time for posting the material, hope you dont mind it! Well no problem i am well back in the full form, ready to rock and roll again, so lets get it started. Click Here to Read more!